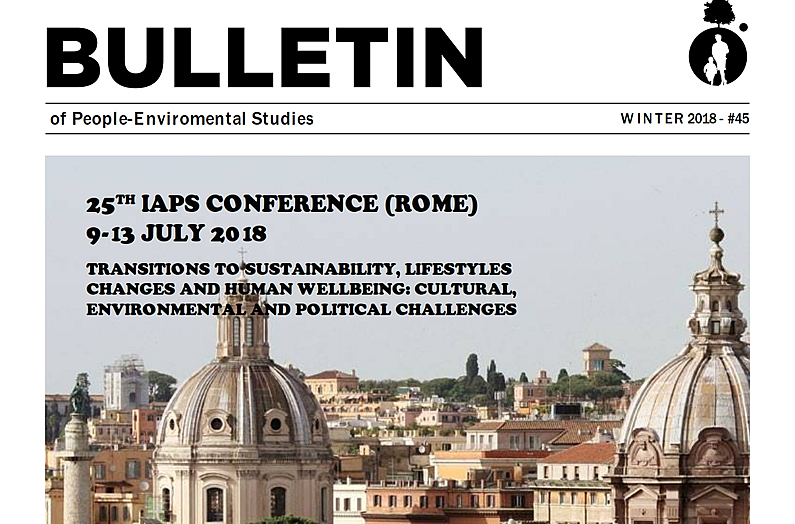 The 45 IAPS Bulletin is now available for download. Enjoy! Whilst we encourage all our members to submit material, any submission for inclusion in the Bulletin should be written to high standards of English grammar and punctuation. To help the review process, we kindly ask you have the material checked by a fluent English speaker before submitting it to the Bulletin. Please, send your contributions for the next issue by e-mail to Ricardo García Mira, at the following address: bulletin.iaps@gmail.com. All manuscripts should be written in Times New Roman 12 pt., double-spaced. The maximum word length for articles is 2000 words. Include names, affiliation and full contact details of all the authors.